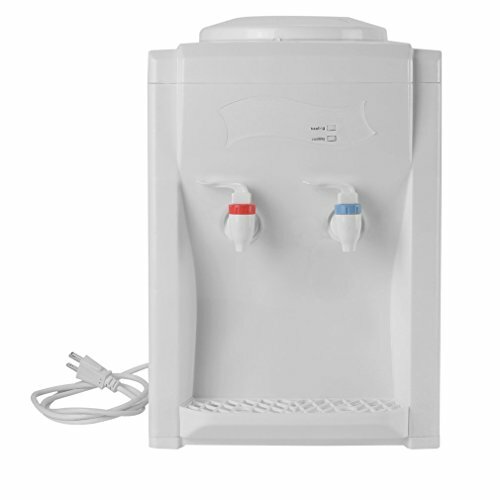 View More In Water Dispensers & Coolers. ➔ Easy to use and keep clean. ➔ Simple and practical design, classical and exquisite appearance. ➔ Keep your water at the appropriate temperature in the coldest winter or the hottest summer. ➔ Ideal for home, or office and any other places. ➔ It is a low noise compressor cooler and a high efficiency design. ❶ 3~5 gallon large capacity, much larger than the average kettle ensuring there is enough water for the whole family or office. ❹ Easy to disassemble, you can regularly clean easily. With its innovative tabletop design, good for you and your family's health. ❺ We offer 14 days return policy. Please contact us within 14 days from the date you receive your order if you have any issues with the product and would like to return. If you have any questions about this product by Coldcedar, contact us by completing and submitting the form below. If you are looking for a specif part number, please include it with your message.